Forged from 45g of solid .925 sterling silver, the INFIN8 Pendant is handcrafted with the finest detail, then oxidized to create a dark grey finish. 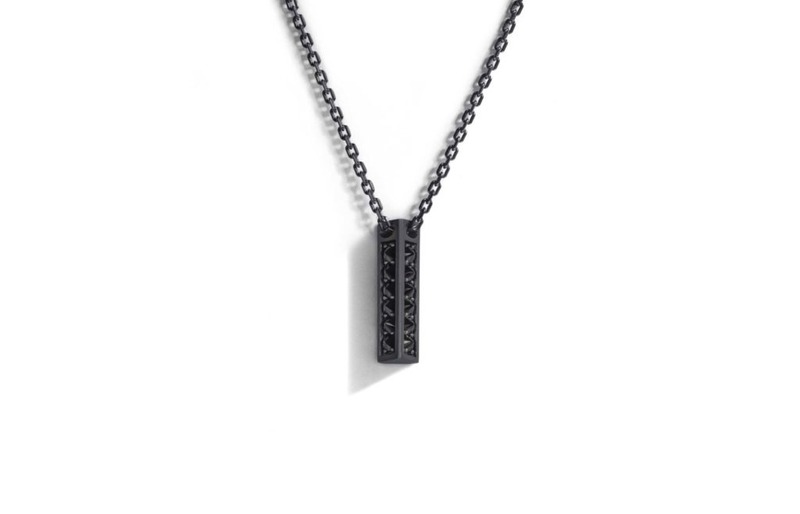 The 3.75mm wide chain is diamond cut with precision cutting tools to create a pattern of fine sharp flat cuts across each chain link. 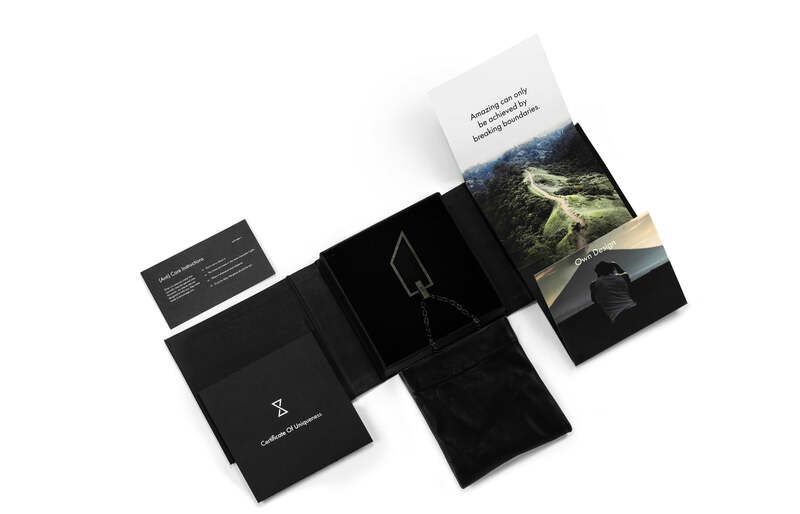 The pendant is detachable from the chain. 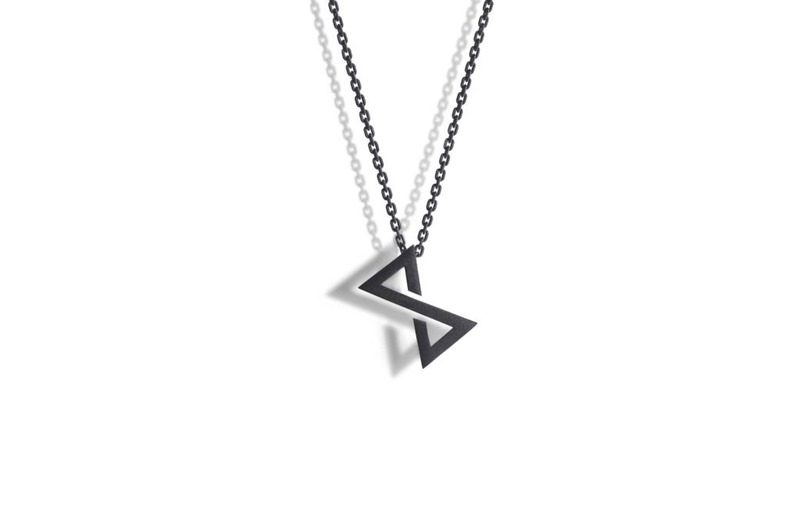 The chain can be worn as a standalone piece. LNovum is a game changer in the jewellery industry. It’s simple, modern and stands out more than anything I’ve seen. This is one beautiful pendant and chain set! 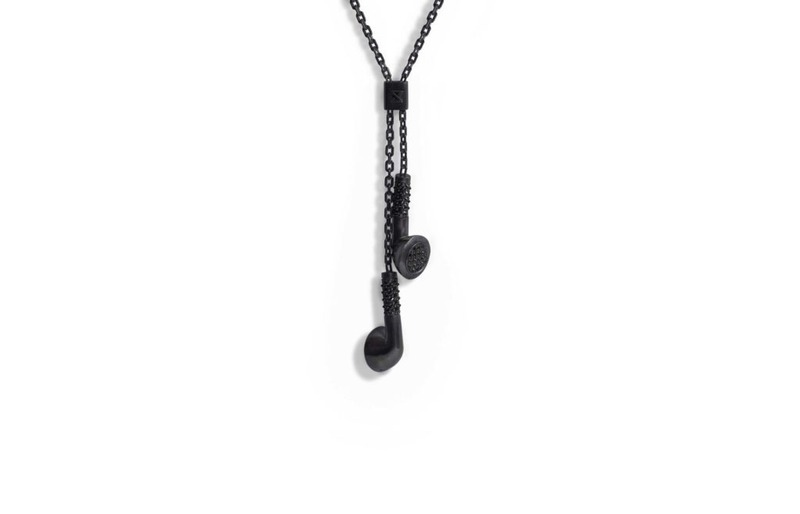 The black stain on the pendant and chain look durable and good quality. Nice note sent in the package on how to care (or not care) for your necklace. This necklace is super affordable and takes it to the next level with the design and quality. It looks way more expensive than it is. Thanks again! Just received this pendant and I couldn't be more happier. First of all, it's not that black as it's in some photos. It's more grey and "grungy", but that's exactly what I wanted. Pendant is really big and heavy, hangs well and doesn't twist. Chain is really strong and thick. Arrived in 4 days and was placed in the best packaging I've seen so far. Great piece of art. Good quality, very beautiful finish and value. First and foremost, the product was delivered fast, in great packaging, and in great quality. You can tell they care about their product and customers. 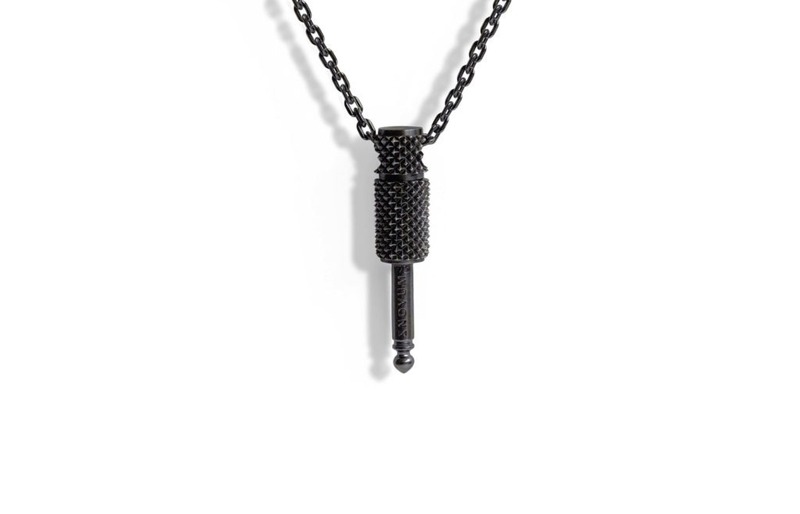 The necklace is exactly as described and elevates almost any outfit. This piece is a motivator to look and be better. 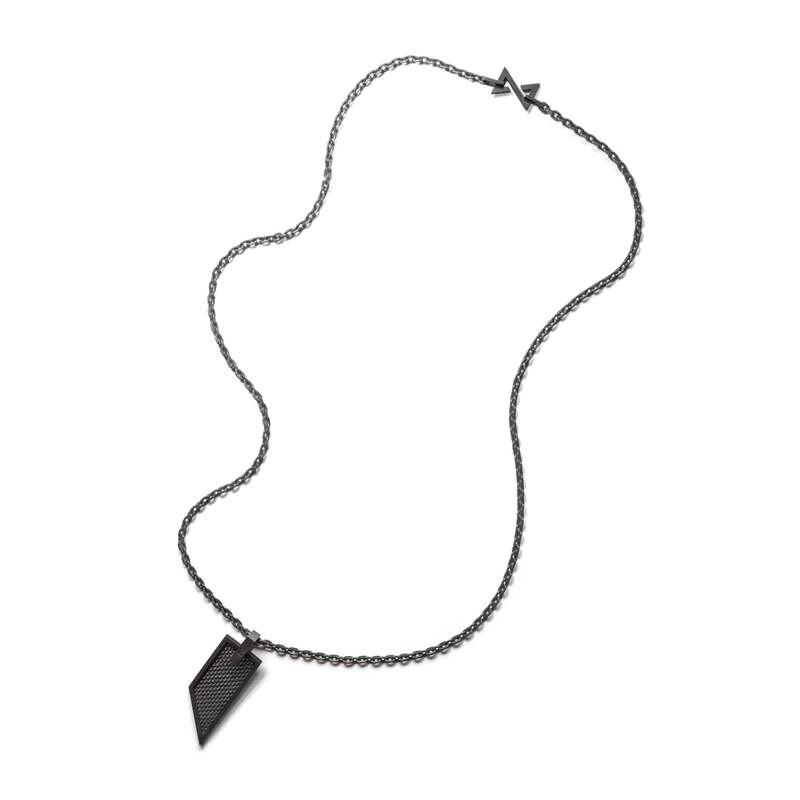 A simple change like adding this necklace can make all the difference. Product was prettier than I imagined. Perfect everyday necklace. I am very happy with my purchase. I received my necklace after a few days of ordering online. I absolutely love it! I am very happy with the product and quick shipping. I have a box full of necklaces and bracelets and this one is BY FAR the best one I’ve ever gotten! The chain is so relaxed and flexible which I love. The pendant is heavy and really good quality. When I want something more simple, I can take the pendant off and just wear the chain. It’s the perfect necklace if you like to layer your jewelry because it will probably be one of the longer ones in your collection. Also, thanks for the great customer service! I got my infin8 pendant today and I’m already so excited about it! It feels so well made and the pendant falls pretty low because the chain is long. The box it comes in is an added bonus. The pattern on the pendant is next level. I love the details of it! Thanks so much! I couldn’t be happier! I love it! it came on time and it is just what I wanted! It looks exactly like the picture. It came a little tangled but it was in a very nice box and I will wear it regularly. I am the type of person to put on a piece of jewelry and never take it off. Because of this I spend a lot of time finding exactly what I want as I only want the highest quality pieces. Since finding Lnovum I have bought 6 pieces from them! Every time I am blown away. This pendant is heavy and great quality. You can take the pendant off and just wear the chain which is a nice feature because the chain itself has so much detail to it. I highly recommend this brand! I hate shiny jewelry, finding L.Novum was like a miracle come true. 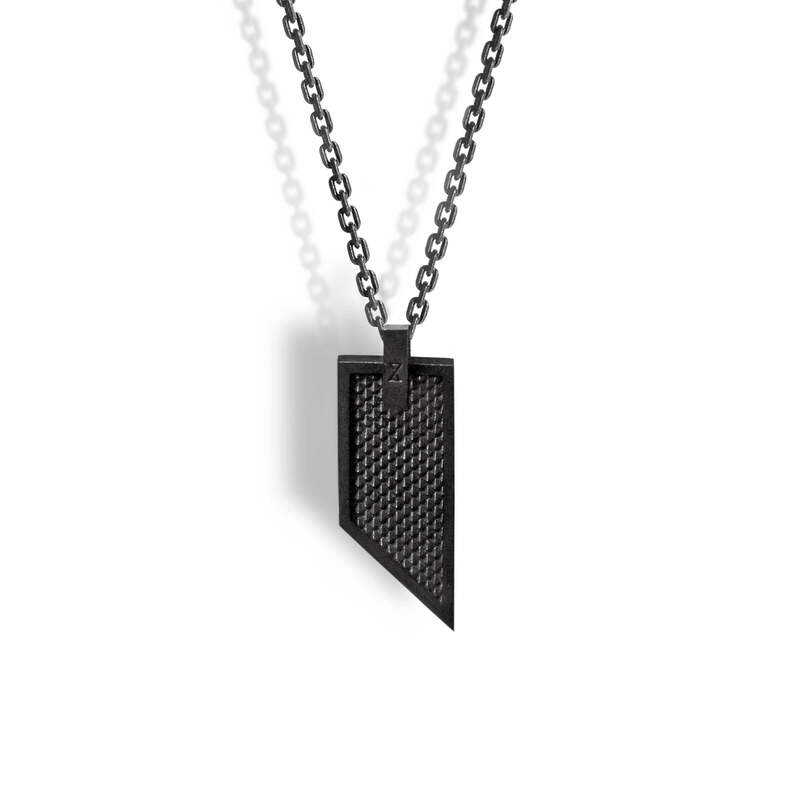 Ordered this one and it is exactly what I was looking for - black (some might argue it's dark grey) silver accessory that beats anything thrown at it. This thing is GIANT!!! Did not expect it to be this big. Thought this was overpriced, but now I understand the real value of this product.